Danner Mfg. Inc. has been in business for more than 50 years. The brand names which they manufacture and market are: PondMaster, Supreme, Magnetic-Drive, Hampton Water Gardens, Cover-Care, Pool-Care, Spa-Care, Skilter, AquaMaster, AquaKing, SuperKing, HeetMaster, DynaMaster, Challenger, Ovation, and BioMatrix. These brands can be found in the Water Gardening, Aquarium, Pool/Spa, OEM, Hydroponic industries throughout North America and the offshore markets. They are committed to offer our customers high quality and reasonably priced products, creating the best values. Replacement Sleeve For Uv Filters. • Comes Complete With A 9000 Hour, Long Life Lamp and Water Tight Quartz Sleeve. The Unique Vortex Flow Design Increases Water Contact Time With The Ultraviolet Light. 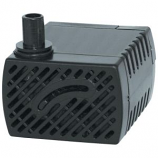 • Replacement Mag-Drive Pump Cover. • Operates Submerged Or In-Line. 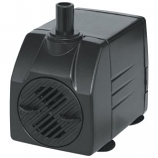 • Pondmaster Magnetic Drive Utility Pump.